Schematic drawing of Cal-Light system. M13 and calmodulin proteins are fused to c-terminus and n-terminus of TEV protease (TEV-C and TEV-N), respectively. 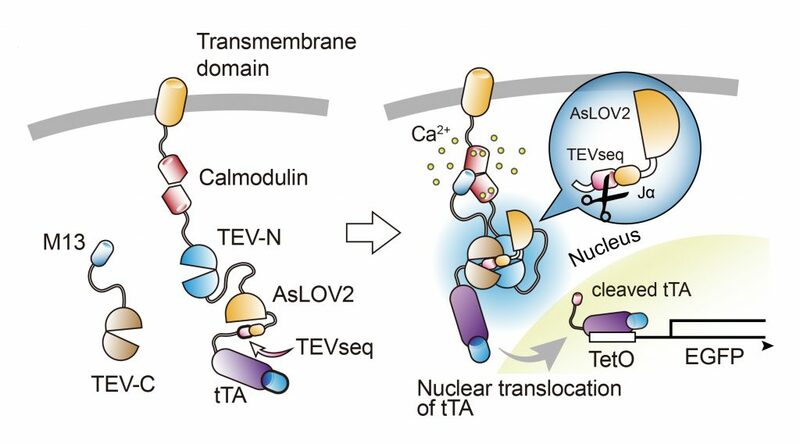 When Ca2+ arises in the cytosol, M13 and calmodulin bind to each other and subsequently TEV-C and TEV-N regain proteolytic functions. 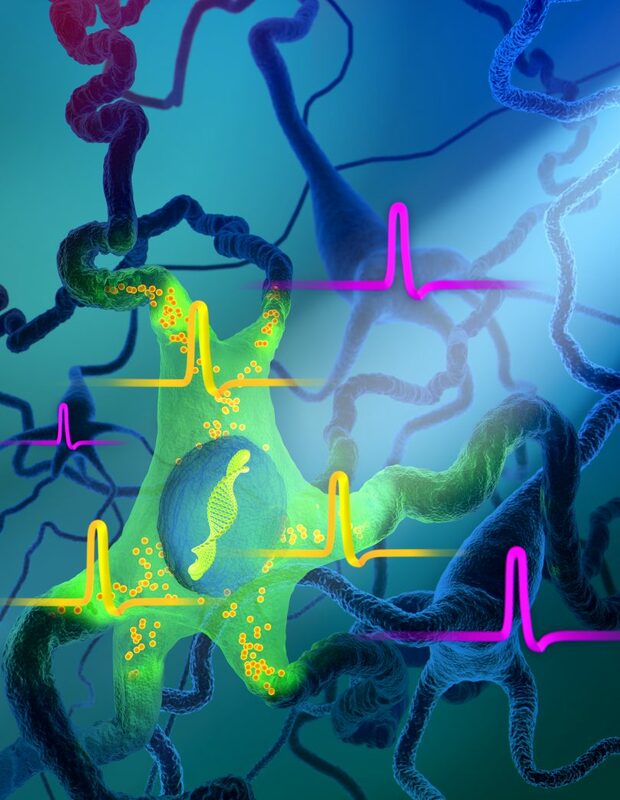 However, TEV protease cannot recognize TEVseq easily in a dark condition, because TEVseq is inserted at the c-terminus of AsLOV2 J-helix. 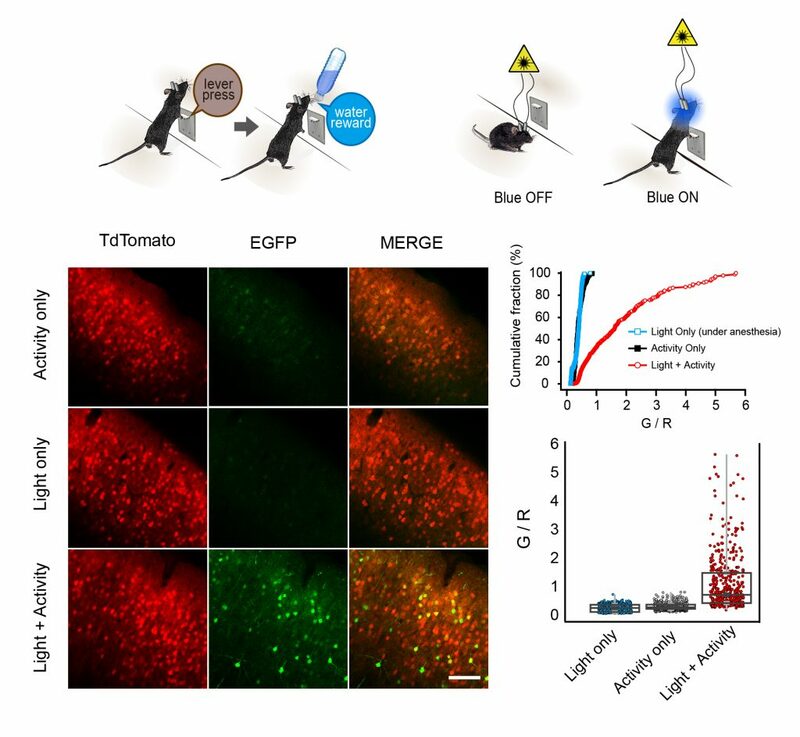 Blue light causes a conformational change of J-helix making TEVseq unmasked. 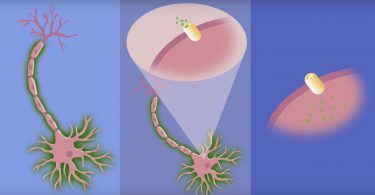 Cleaved tTA translocates to the nucleus and initiates gene expression. 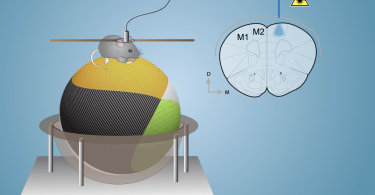 (TOP) To label learning-related neuronal population, we trained water restricted mice to learn repetitive lever pressing behavior to get water rewards. Fiber optics were implanted both hemispheres of M1 area and blue laser was programmed to be switched on for 5 sec whenever mice press the lever. Once light was on for 5 seconds, the next blue light was prohibited for the following 25 sec even though mice press the lever. (BOTTOM) Representative images from mouse brains trained with or without blue light; cumulative distribution of G/R at each condition. Watch the video abstract here.